Margarete Schnellecke was born in Gütersloh in 1905 as the youngest of five siblings—four girls and a boy. Her mother was a housewife, her father a school principal. The parents’ values shaped their children. Margarete Schnellecke is convinced that these values later proved themselves and helped her through her own life. Her parents taught her a sense of justice and fairness. She herself had learned to fit in, and, very importantly, as a teacher’s offspring she and her siblings always had to be model children. Margarete liked school. 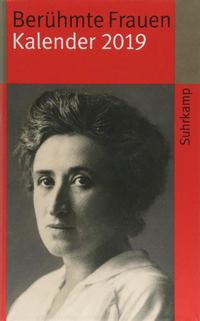 She would have preferred to finish high school with the Abitur and study philology at the university, but with five children in the family that was financially impossible. After middle school she completed training courses in welfare work at the schools for social work in Bielefeld and Gelsenkirchen, and took a degree in nursing. She became a certified welfare worker, employed in the field of health and youth services in Westfalen. Later she added a training course in pedagogy. In 1938 Margarete Schnellecke married a man from Braunschweig who had his own business as a transport contractor for the national railway (Reichsbahn) in the new city of the KdF-car. His business had the name “Spedition Albert Schnellecke” (“Albert Schnellecke Movers”). When she and her husband first moved to the new city, still under construction, they lived in a furnished room in a farmhouse. Their trucks were stored in a shed. With the outbreak of war in 1939 the entire collection of transport vehicles, with the exception of horses and agricultural machinery, was drafted for military use. After the family had become somewhat established in KdF-City they were able to move into a four-room apartment in the center of town, which would remain the Schnellecke residence for the next fifty years. Margarete Schnellecke bore two children, a daughter and a son. Her husband was relieved of military service to run his firm, but was also given civilian anti-aircraft duty. He died from the results of this activity in 1949. The children were just four and six years old at the time. After the death of her husband Margarete Schnellecke took over the running of their company, although the transport business was alien to her, both in itself and in terms of her training. But she made such a tremendous effort that the Bundesbahn (the federal railroad company) expressed its confidence in her, as well as its wish to continue collaboration. The former buildings, situated on land of the present railway station, had been bombed in 1944 and plundered in 1945 and were no longer useable. “After the collapse I was given unheated freight sheds as warehousing and work areas. I had to work in every kind of weather. I did all the office work myself,” explained Margarete Schnellecke years later. The first vehicles acquired by the firm were a three-wheeled Tempo cart and a three-ton truck, which was powered by producer gas [Holzgas]. Two drivers were hired. In her work Frau Schnellecke dealt exclusively with men; she had to stand her ground and make the unfamiliar and alien business her own. This was all extremely difficult. The orders for new business increased. She would receive freight brought by rail, distribute it to her warehouse sheds, and deliver it to the city, neighborhood by neighborhood. With the onset of reconstruction in Wolfsburg at the beginning of the 1950’s the volume of business grew still more, including home furniture-moving. New parts of the city were developed. In those days finished streets were only put in after the houses were complete. How many times her moving vans got stuck in sand, gravel, or mud! I must actually have developed hidden talents; the men respected me as the “boss,” although in many things I really didn’t know what I was doing. They helped me with the technical things. And at the meetings of the movers’ organization I was always the only woman. Naturally I also had worry because of the workers. We couldn’t pay as much as Volkswagen. And then I worried about being responsible for the many people and their families who depended on me for their money. Often I would wake up in the middle of the night with this oppressive feeling of responsibility. Those of us who have our own businesses always have to be a nose ahead and can never rest on what we’ve already achieved. Up until five years ago I still showed up for two hours at the firm. Today I wouldn’t want to be so bold as to say that I’m “proud” of what’s been achieved. Thankful, yes, thankful for the energy and the strength and the staying power that I was given. It was in fact often a tight-rope walk, especially in the 1950’s. Our main client was and still is the Volkswagen corporation. According to the ups and downs of VW our own company also did better or worse. Yes, I guess it was just about always difficult. Whenever we had solved one problem the next one would be waiting. Margarete Schnellecke’s life took a hectic and strenuous course, and she had to forgo a lot. She managed everything by herself and otherwise waited for the day when her son, who had helped out since childhood, would be old enough to relieve her of work. Margarete Schnellecke took her first vacation when her son was old enough to manage the company alone while she was gone. For an extensive private life in addition to childraising and career she had had little time. Margarete Schnellecke took little part in Wolfsburg’s social life. Nonetheless, all the Wolfsburg “old timers” knew each other personally and had experienced mutual helpfulness and solidarity in time of need, which bound them together and was important for one’s wellbeing. Books were her friends. She has had a subscription to the theater performances since the very beginning and sang for a while in the choir of the St.Annen-parish. I sacrificed a great deal to the company emotionally. It was hard, for example, to be out of the house and at work the whole day long. My life was very hard, but I am happy now that my ability to carry on and stick it out has paid off in every respect. When they call me an “entrepreneur” I have to smile, because I don’t see myself as one. And without the help and support of my son I could never have accomplished it all. It strikes me as a miracle. But I’m a brave and curious woman, and so I’d like to live long enough to experience the year 2000. 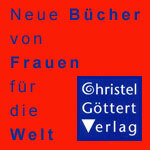 (from: Frauen in Wolfsburg – EinBlick in ihre Geschichte, 1998. Hrsg. Stadt Wolfsburg, Frauenbüro. ISBN 3-87327-031-5.